This is a brief guide on generating and adding Elfsight Countdown Timer on your site. 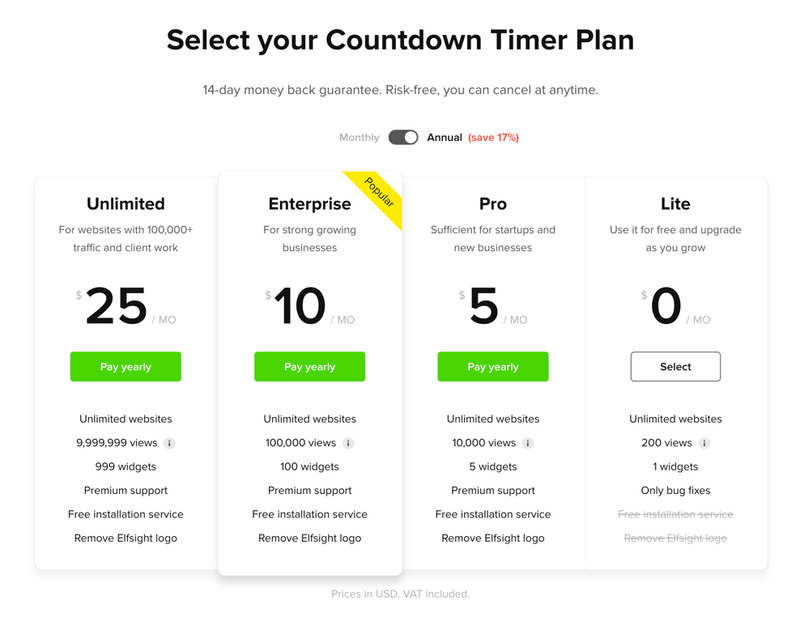 Install the best online timer widget on your site quickly and without effort. How do I adjust plugin parameters after the plugin integration? BONUS: Take a chance to get your own Countdown Timer now! A short instruction for users who know how to deal with the admin panel and can introduce small changes to website HTML code. Below you can see more information about each step of the instruction, including screenshots and thorough descriptions. Address our support team to have free help with adding. It is available for all Elfsight clients. An extended guide for every stage of the instruction. The 1st stage – align the look and features of the plugin. Start creating a plugin in the editor or get registered in the service. We have various tariff plans from free to premium. You can get any of them that suits you most. 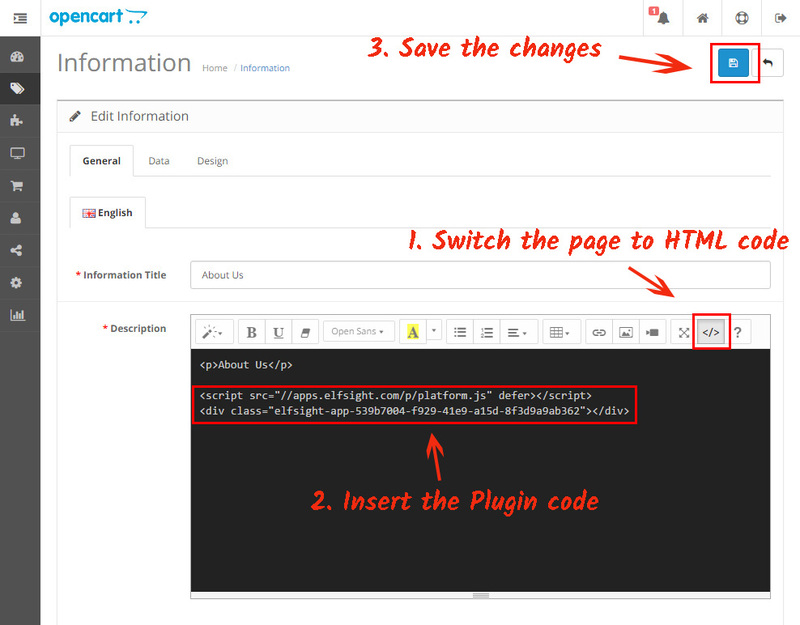 Copy the plugin code that you received at Elfsight Apps, for placing it on the website. The second step – place the constructed plugin into the code of your page or template. Get logged into the required website, go to the editor and make changes to the website code. Go to the page where you need the plugin or a website template and add the plugin code that you copied at Elfsight Apps. Apply the changes. Following the installation, you can go to your account at Elfsight and customize the design or style of the plugin there. All the changes are administered automatically. 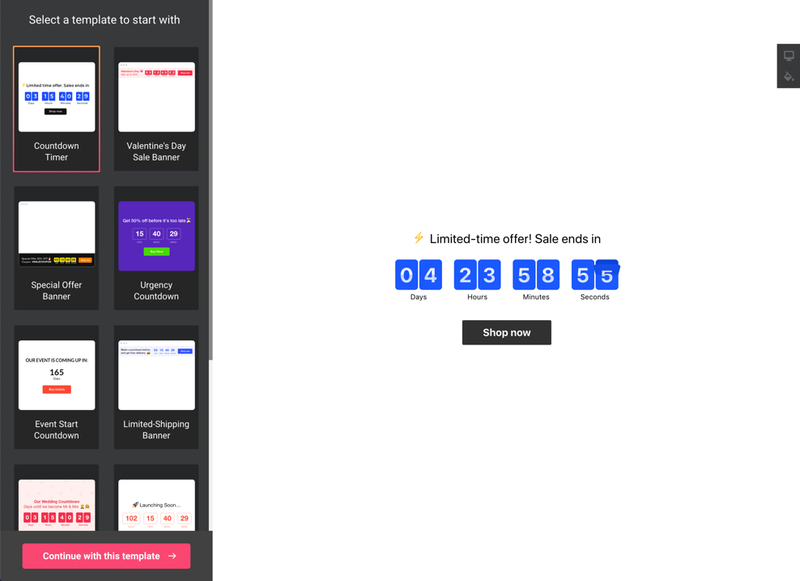 Also see more about the extension on OpenCart Countdown Timer page. 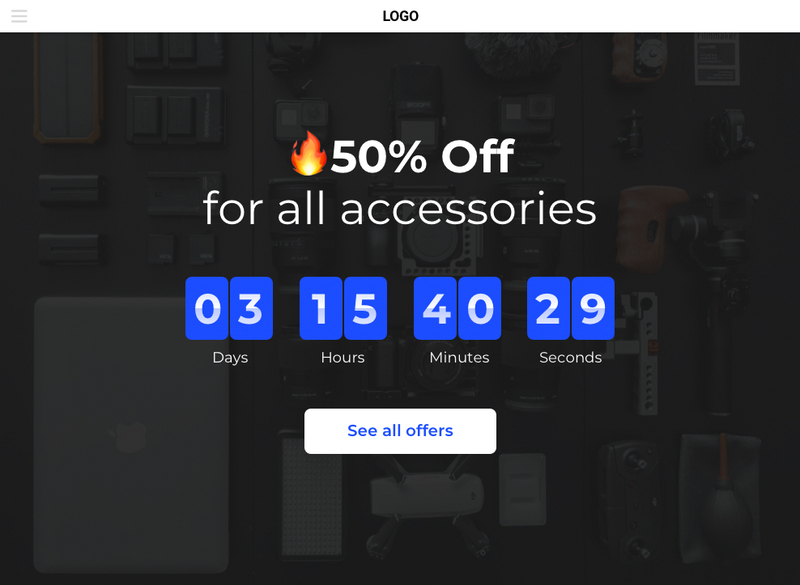 Take a chance to get your own Countdown Timer now! Test our free configurator for quick creation of diverse widgets.